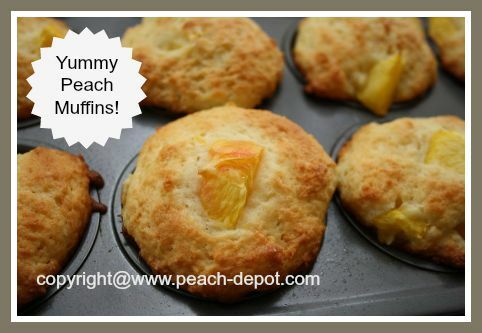 Looking for a Healthy Fresh Peach Muffin Recipe? You've just found a easy and deliciously delicious one here! In most areas of the country, local, fresh peaches are only available for a very short period of time. Many other fruits are available in grocery stores year-round (imported), but not so with peaches. You may be able to purchase peaches out-of-season, but they will never taste as amazing ... and they will never be as juicy as local, ripe peaches. Chin-dripping goodness only lasts a short time! If you are like me, you are trying to make as many recipes with fresh peaches as you can, including freezing peaches to enjoy during the winter. 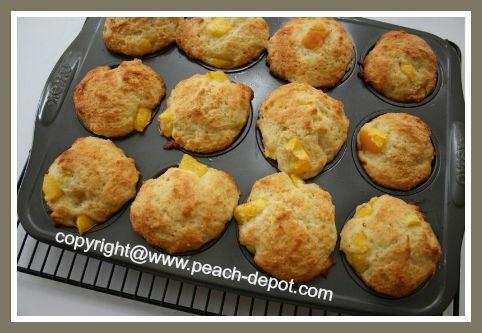 You will love these homemade peach muffins. One batch makes about 9 - 12 medium-large muffins. In a large bowl, whisk together the flour, baking powder and the baking soda. In another, medium size bowl, whisk the eggs. Add the oil and yogurt and whisk together until smooth. Slowly stir the yogurt mixture into the dry ingredients in the large bowl, just until combined ... Do not over-mix or else the muffins will become too dense. Gently stir in the prepared peaches with just a few turns of the spoon. 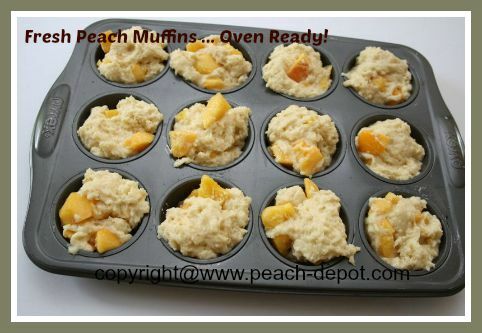 Fill greased (I use non-stick baking spray) muffin cups about 3/4 full with the muffin batter. Bake at 350 ° F for about 25 minutes or until golden brown. 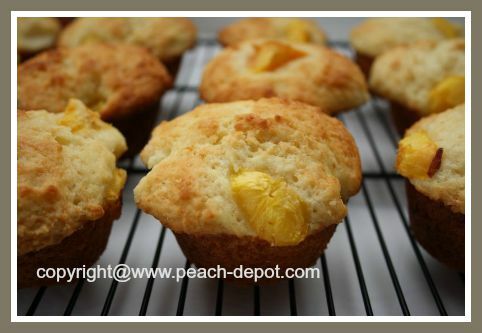 Tip - Make a double batch of these delicious peach muffins and freeze some to enjoy later. Pop one out of the freezer now and then and add it to your, or your kid's lunch bag ... to savour that peach taste at a later date! Always freeze muffins when they are still fresh. 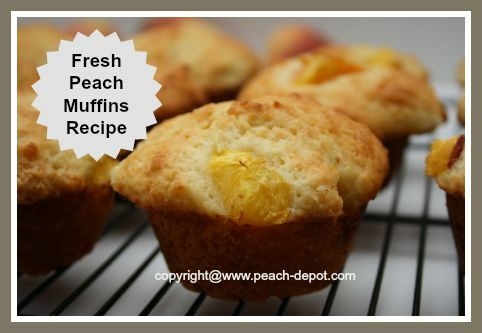 These muffins will keep in the freezer in an air-tight container, or wrapped individually with plastic wrap, for several weeks.